This September, Enchanted Kingdom introduced their newest ride ever that really makes you and your family very much happy. The "EK Disk-O-Magic," where you can experience the spinning fun and rocking excitement. This is one of the best additions to Enchanted Kingdom attractions. The EK Disk-O-Magic fee is already included on a regular entrance fee. And I'll update this post as soon as possible to give you more about the EK Disk-O-Magic. 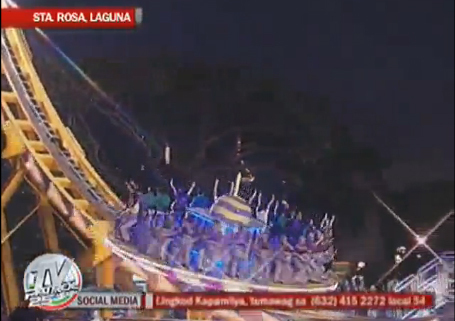 Something Spinning and Rocking will happen at Enchanted Kingdom! Two (2) Regular Day Pass tickets plus three (3) Carousel Special tickets will be given away EVERY WEEK from September 3 to November 4, 2012 through the "So mething Spinning and Rocking" promo in the official Enchanted Kingdom Facebook! Just click the “share” button of the EK Disk-O-Magic teaser video and get the chance to win! Winners will be chosen randomly and will be announced here in Facebook! Just refer to their Facebook fan page here: facebook.com/enchantedkingdom.ph, to see the video that you're going to share. Comments or suggestions about "EK Disk-O-Magic Fee on Enchanted Kingdom" is important to us, you may share it by using the comment box below.